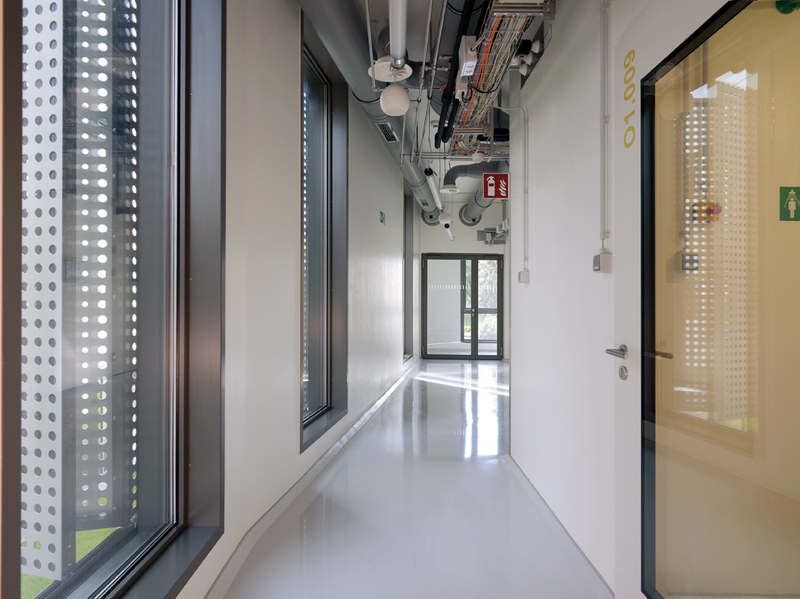 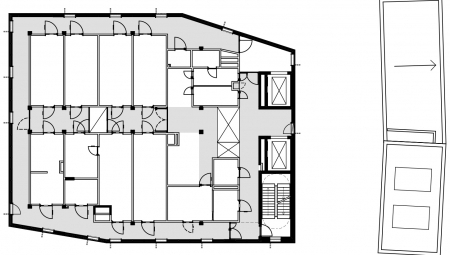 The Preclinical Facility Building completes the eastern development of the Campus ISTA on the grounds of the former State Hospital in Klosterneuburg, Maria Gugging district, Lower Austria province. 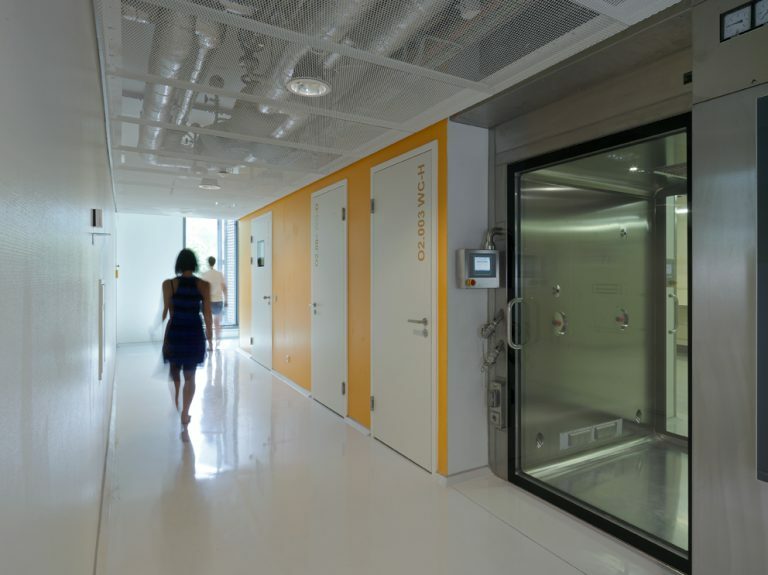 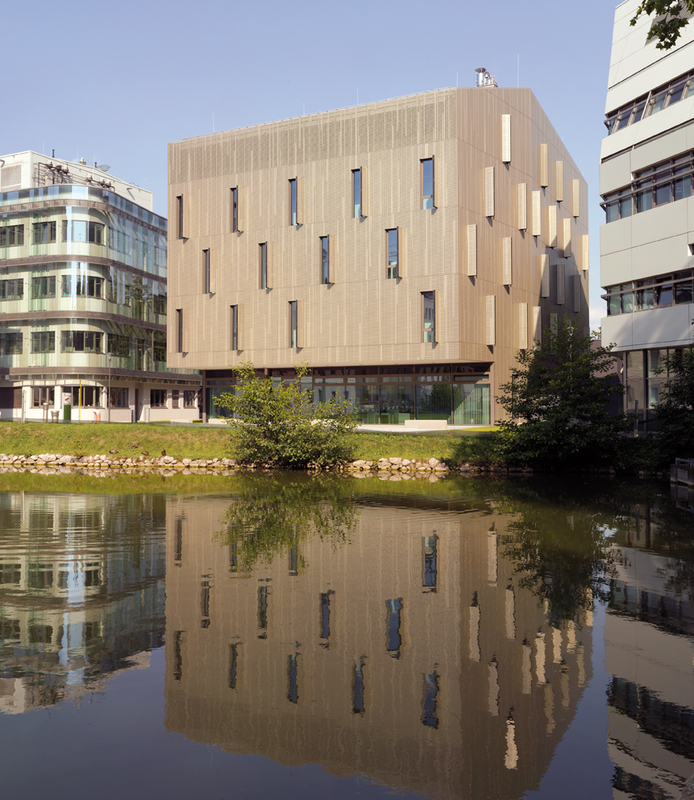 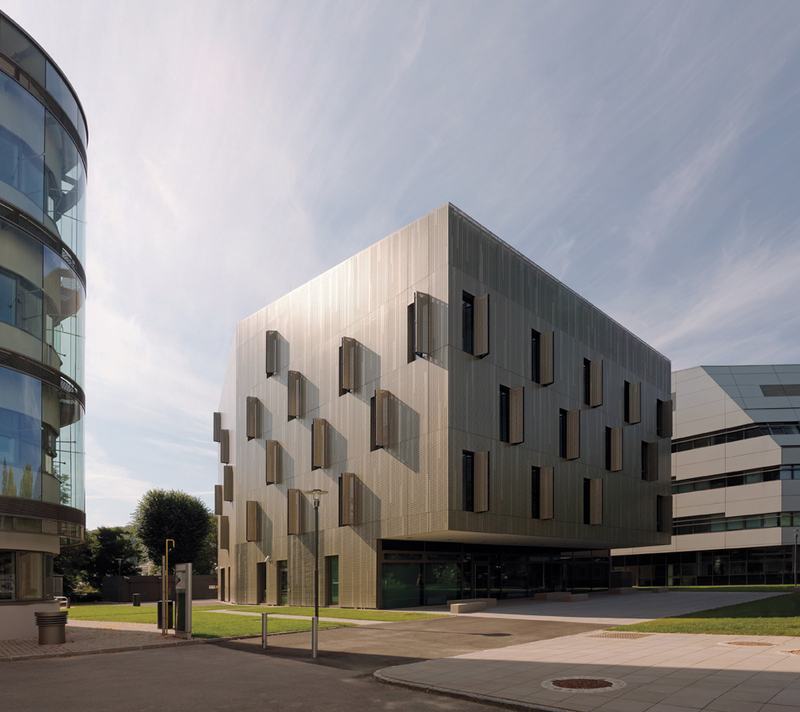 With the buildings of the Flexible Purpose Laboratory and Life Science Laboratory, it forms a closed ensemble of modern and aesthetic laboratory buildings as the Institute’s calling card. 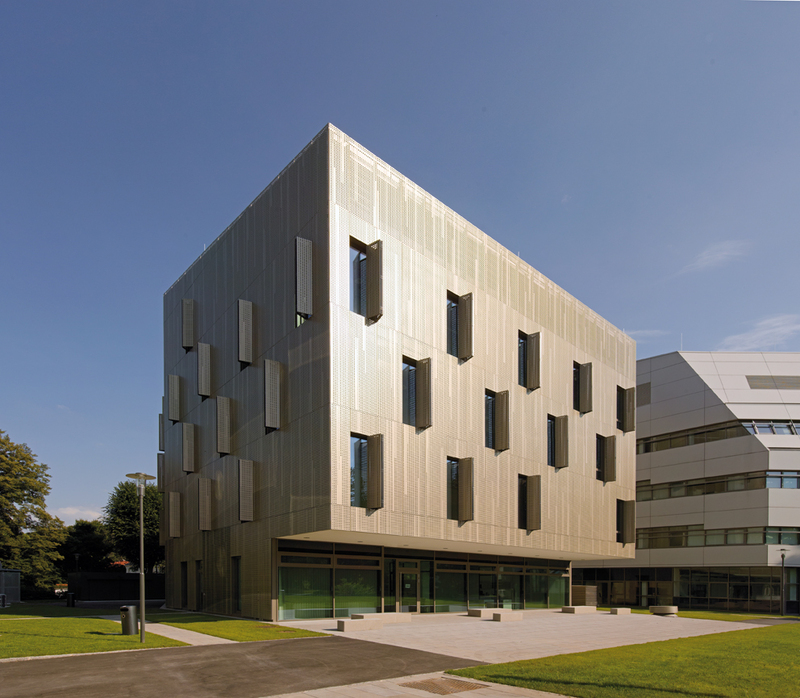 With its clear, concise and quiet building volume, the new construction fits into the empty site between two existing laboratory buildings, connecting them without losing the autonomy of its body-like structure. 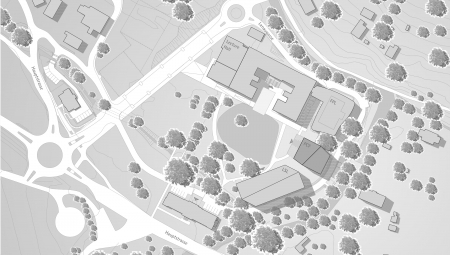 The ground floor jumps back onto west side, whereby the entrance area is accentuated, and a generous free space is stretched between the public facilities and the lake. 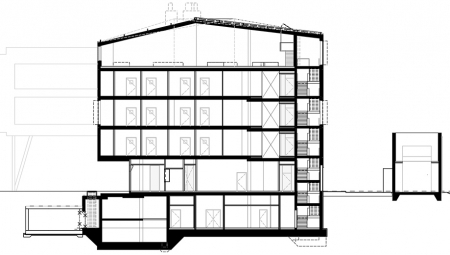 Above ground, four storeys and a technical floor were realised. 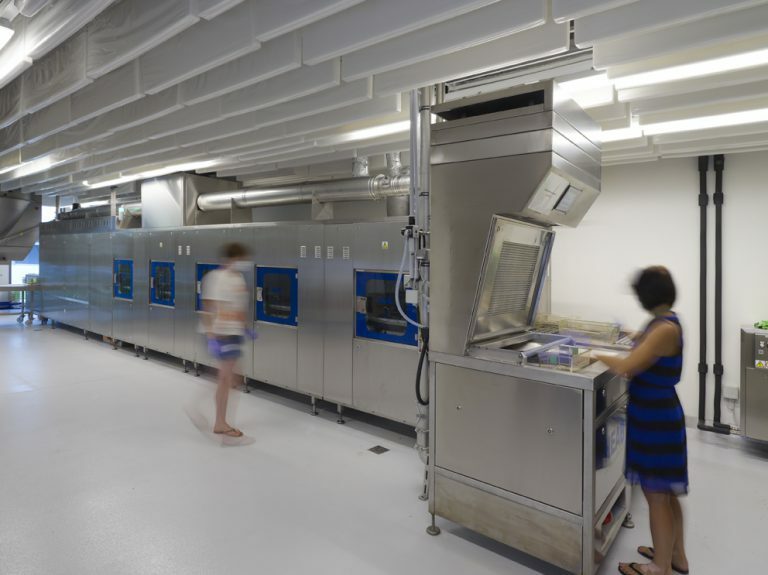 Direct structural connections to the existing adjacent buildings are offered in the basement, and thus all three laboratory buildings are connected together to form a research community. 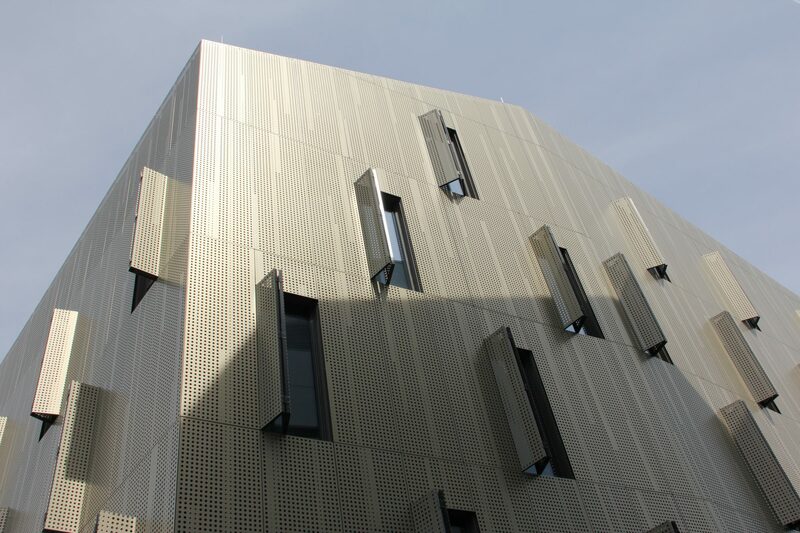 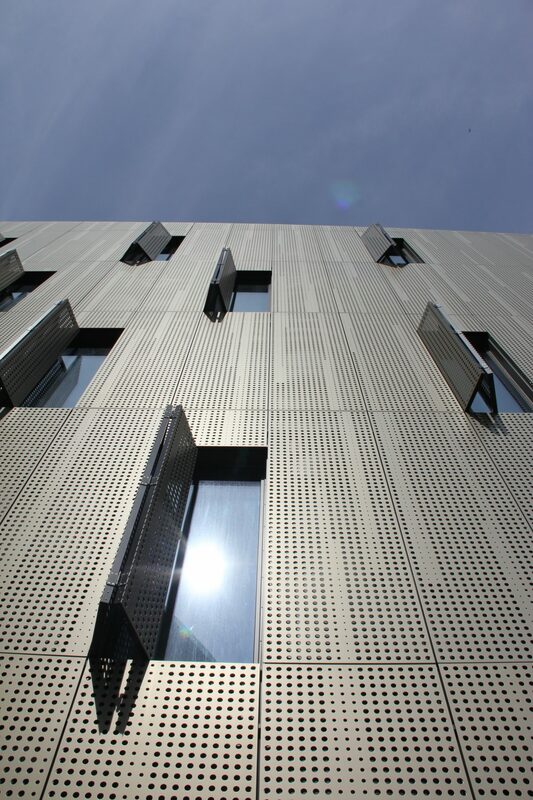 The building’s volume physicality is emphasised by homogeneous cladding made from perforated metallic plates with different porosities. 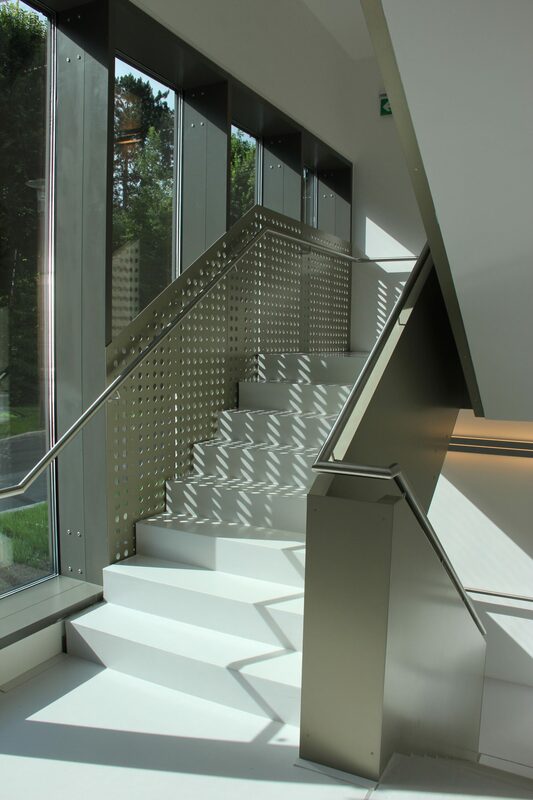 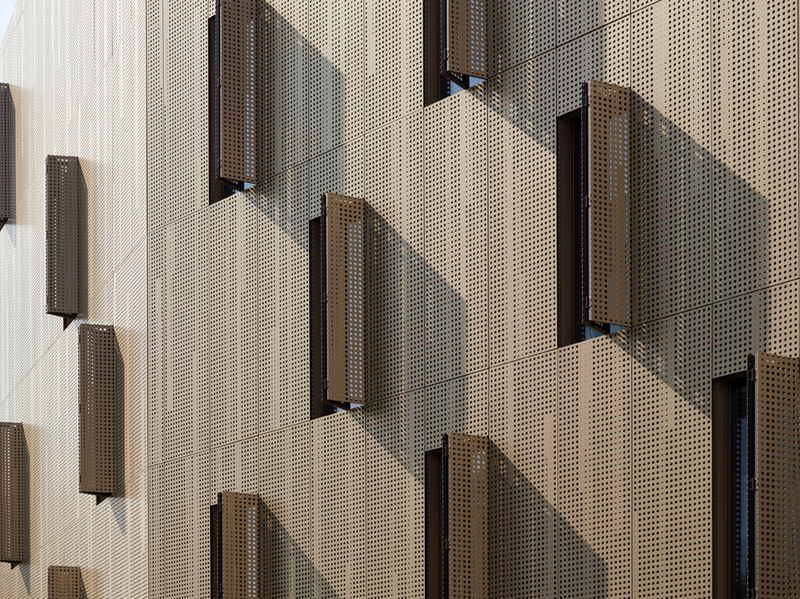 At the level of the metal façade, folding shutters covered with perforated tin serve as sun and privacy protection elements. 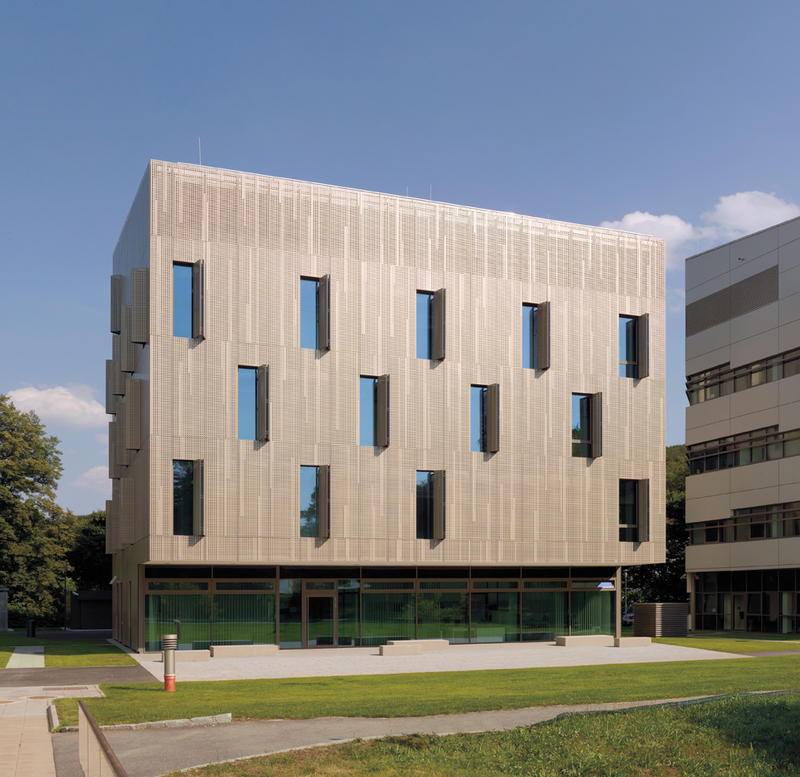 Ernst Strüngmann Institute Frankfurt a.M.